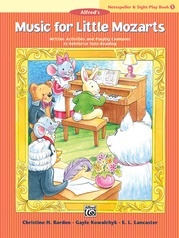 This adaptation of the Music for Little Mozarts piano curriculum is designed to provide classroom music instruction for 4-, 5- and 6-year-olds in the preschool or kindergarten setting. It is a comprehensive approach to musical learning that develops singing, movement, and listening skills simultaneously with an introduction to musical styles and concepts. Ten detailed lesson plans are included along with reproducible activity pages for the children. 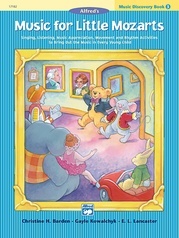 The curriculum materials combine to create an exciting and imaginative atmosphere in the classroom. No keyboard instruction is included, but the classroom edition can serve as a recruitment class for the piano course. 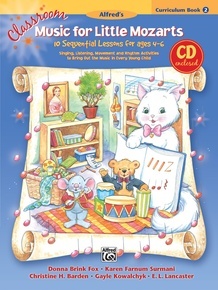 Perfect for teachers with limited preparation time, and all levels of musical experience. 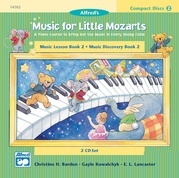 The CD includes all of the songs, stories, and activities. 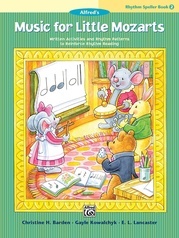 Assessment materials and correlations to the National Standards for Music Education are also included.